Advertisements Are No Longer The Same! Gone are those days when huge billboards or a section of the newspaper dedicated to advertising your product was enough. If you want to attract a larger audience, getting a website tops the to do list. There are many ways your own websites will boost your revenue, and we are not going to bore you with the details. 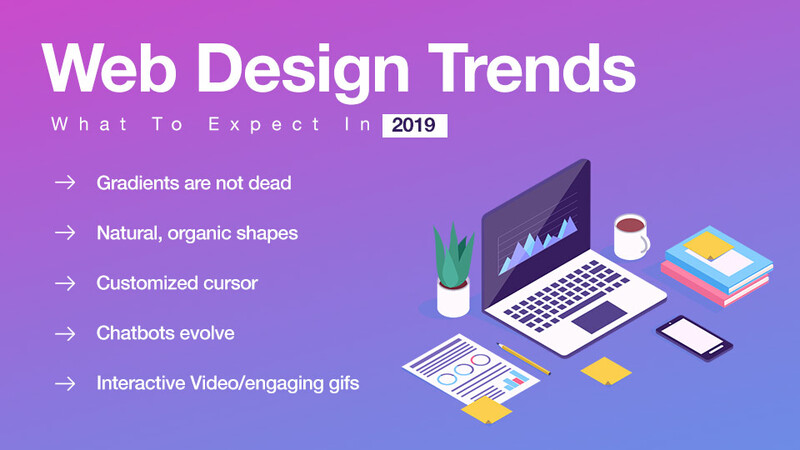 In case you didn’t know what has to be implemented…..
We know that you are here for the web design trends 2019, so we will get right into it. But there is a feature list that must be kept in mind before proceeding to develop one. Name along with the logo and a small description of your business. A horizontal bar consisting of the topics and subtopics. Contact details of the business. Social media login and comment section. Vertical bar of product list along with subcategories. Dedicated footer with more details and options. Is having a website enough though? Will these basic features make up for the amount you invested on the development team? If you are a small business owner, not really. More needs to be integrated in order to keep your customer/visitor engaged. Of course, we are not asking you to blind the visitor with those flashy and garish images that scream for attention. But also, don’t make it a plain jane either. The secret is simple- design smart. Everyone like clever ideas; ideas that deliver a message in an interesting way. This is where web designs come to your rescue. These design ideas are getting updated every year. It is important to keep up with these web design trends in order to keep the traffic flow steady. You are surely familiar with MS powerpoint. Thanks to school projects, at some point in our life, we have tried to make our slides more lively by adding this tool. It is of little surprise that this simple tool can make a page look appealing. Human beings appreciate variety over monotony. Don’t you prefer to look at rainbows or the Norwegian lights over a clear blue sky? We bet you do. Just look at the two screenshots below. The one on the right lacks gradient while the other one doesn’t. What looks better? You be the judge. If you want to advertise some of your best selling or high revenue generating products, you need this commonly used but highly effective feature. Netizens want information they are looking up in a matter of seconds. If they can’t find what they are looking for, they are likely to close and continue to another site. A moving image is also likely to grab attention for longer than still images. Tired of the same pointy arrow? Give your users a different experience by making this small change. 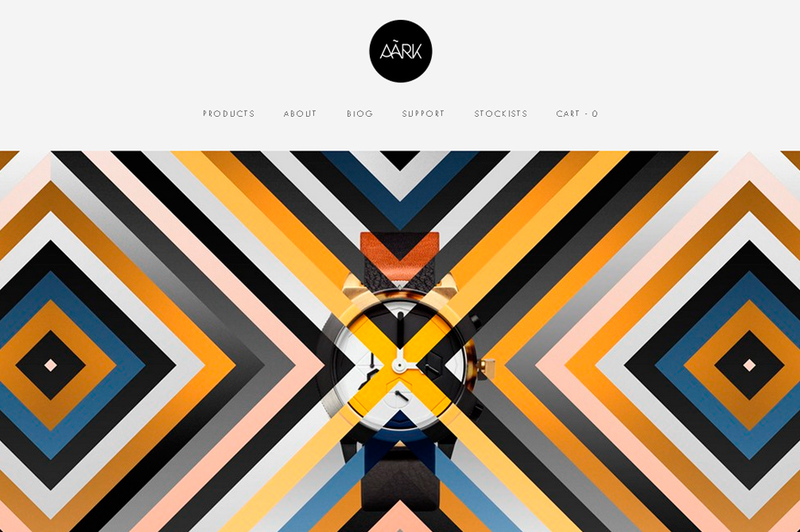 A colorful arrow or a small image related to the theme of the website like a cart for shopping sites could be used. The cursor, in this case, should not be too big which will hamper the user experience. Animated cursors are widely used mostly by gaming websites that want to create a better user experience curated cursors. 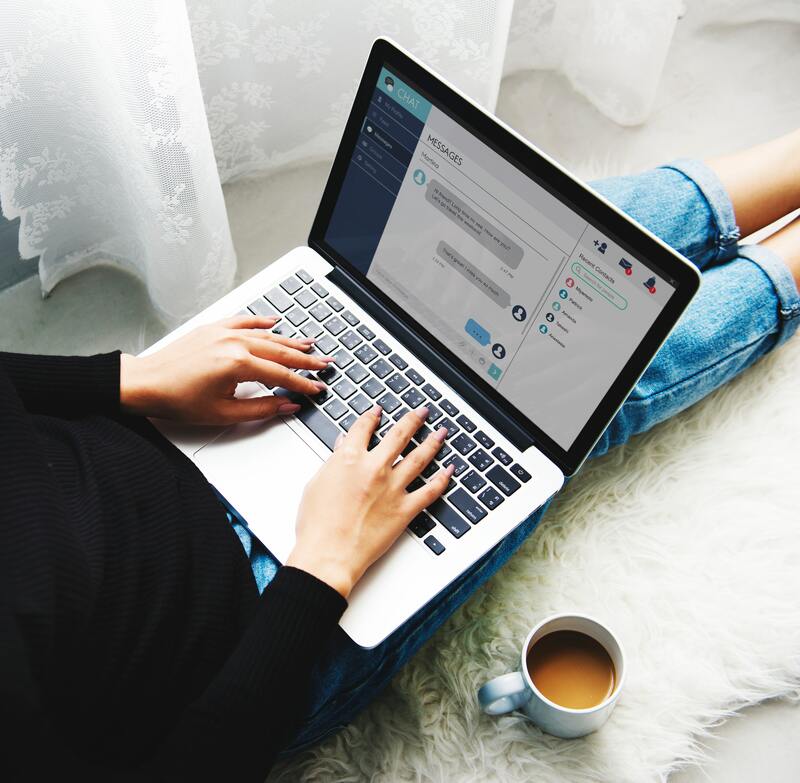 With artificial intelligence coming up with improved responses due to better research and technology, more websites will come up with smarter chatbots. No one likes to wait for assistance with the issues they are facing and an instant help option is always appreciated. A chatbot will not only keep interested customers on the web page for a long time but also give an impression of reliability. Selling clothes? Show a video of a model walking in it. Own a restaurant? Show some lip smacking videos of food! Have a gaming business? Show users how they can play it. The list is as tall as the statue of liberty, but we think you get the point. We would definitely ask you to follow some rules. Like, keep the sound (in case of a video) to mute for users do not like noise when they did not ask for it. Make it as short as possible – most of us have very short attention spans and would not like to stare at something that does not interest them. Remember the flashy websites of the ’90s? Like fifty different information couped up in one page? That’s exactly what you need to avoid. Minimalism is not just the new hot in websites, but home decor and art as well. 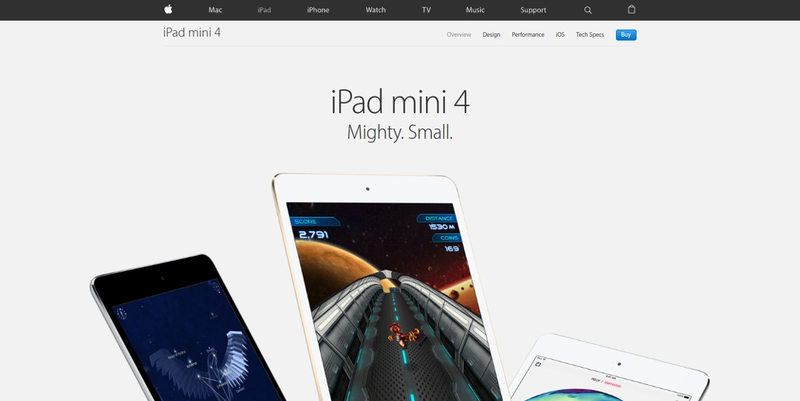 Minimalism adds sophistication to a website without making a large hole in your pocket. There are a few things to keep in mind, of course. Like the contrast in text and background should be high so that the text or logo is not missed by the visitor. And the information you decide to display on the home page should communicate your brand value to the visitor. The product you are selling may be incomprehensible to several users. The process of using a particular technology you are selling needs explanation. This is when infographics come to use. Wondering what infographics are? These are image descriptions of any data. Apart from explaining something that is unperceivable, infographics make the web page appear more interactive. As users prefer pictures to reading, web design trends will always have infographics on the list. 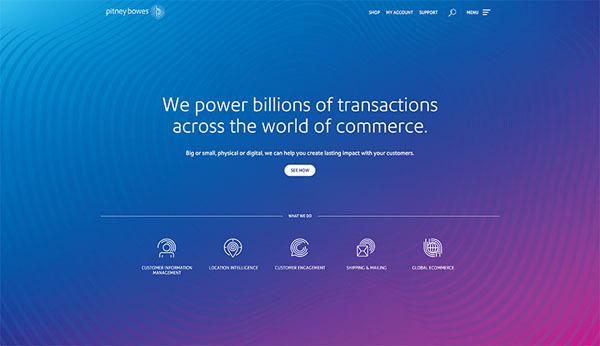 Top web design trends will always include something out of the box and this is an example of one. Triangles, pentagons, rhombuses, literally any shape you can think of are used by a number of websites. It also includes abstract shapes that cannot be classified into a shape type. Many websites are using these figures which includes text details inside them or just shapes floating around. You can also use shapes to create optical illusions which will make users stay longer. “We would like to show you notifications for our latest articles and offers’’. This followed by an allow or block button has become extremely common in recent years showing no sign of dying down. This has become a new form of advertisement which is practically free of cost. This allows users to keep themselves updated with the websites of their choice. It helps websites communicate better with their users. 10. Scrolling Has Never Been This Fun! Last but not least, new scrolling techniques definitely deserve mention in web design trends. Thanks to HTML5, from changing colors, slides coming in as you scroll, playing videos horizontally, there is no end in opportunities here if you are imaginative! Related read: Progressive Web Apps – 5 Proven Reasons Your Business Needs It Now! 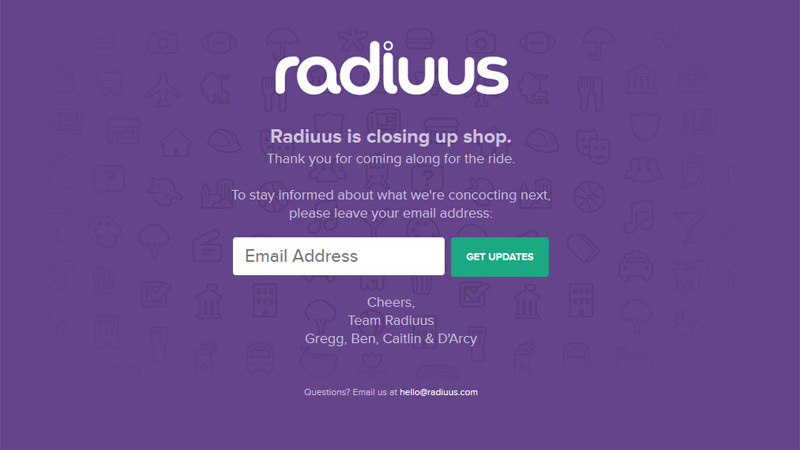 Discuss how you want users to scroll through your website with your development team. Did you know that 97% consumers have searched for a local business online? If you are still thinking if you should update your website with these latest trends, allow us to save you some time. You do need experts to improve it. We have a team of experienced experts to cater to your needs.